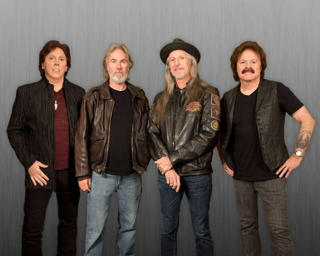 December 1, 2015, NASHVILLE, TN…The Doobie Brothers announce the addition of Bill Payne as resident keyboard player in their touring band. Payne is considered to be one of the finest American piano rock and blues players in the world, known for his own band, Little Feat, as well as performing on numerous studio albums for other artists including Bonnie Raitt, Emmylou Harris, Pink Floyd, Bob Seger and more. He previously collaborated with The Doobie Brothers both in the studio and on the road; a relationship the band is looking forward to rekindling. Tom Johnston notes, "I have been a fan of Billy's playing since his days with Little Feat. We've had the good fortune of having him play on almost all the albums we've done in this version of the band, and that's quite a few. He's a phenomenal, one-of-a- kind keyboard player, and having him join the band is a huge plus both for the live show and for writing future studio projects." Bill Payne shares his perspective, “Having played on many of their albums, and spent time on the road with them over the years, it is an absolute honor to be in the band. They have some truly great songs, the musicianship is the best, and they are good people. I’m very happy about this union." The Doobie Brothers and Journey will launch the “San Francisco Fest 2016” tour on Thursday, May 12, 2016, again bringing together two of the iconic groups that helped define the "San Francisco Sound." The tour, produced by Live Nation, launches at the Irvine Meadows Amphitheatre in Irvine, California – with concerts scheduled through Tuesday, August 30, 2016, and includes special guest Dave Mason. Tickets go on sale to the general public beginning Saturday, December 5, 2015 at LiveNation.com. Wrapping up an immense tour of sold out performances in 2015, The Doobie Brothers played 90+ shows in over 30 states and Canada. In addition, the band partnered with the Love Hope Strength Foundation to include their “Get On The List” campaign on tour to help save lives. They have also been added to the lineup for the Stagecoach Festival for 2016. The Doobie Brothers are closing out the year with Payne on keyboards at the Warren Haynes 27th annual Christmas Jam in Ashville, NC Dec. 12, performing along with Warren himself, Tedeschi Trucks Band, Joe Bonamassa, Dawes, Electric Hot Tune, Blackberry Smoke and Bruce Hornsby. For the past four decades, Bill Payne has spent most of his time on the road, in studios & working with rock n’ roll hall of famers. He’s one of rock’s most talented keyboardists, a legitimate legend among peers. In addition to great songs with Little Feat: Oh Atlanta, Time Loves A Hero, Tripe Face Boogie, Truck Stop Girl, he has written twenty songs with Robert Hunter. A founding member of Little Feat, he’s appeared on hundreds of studio albums & toured with James Taylor, Jackson Browne, Bob Seger, Bonnie Raitt, Emmy Lou Harris, Jimmy Buffett, and The Doobie Brothers. He has just joined The Doobie Brothers, is still a member of Little Feat, and, while not a member of Leftover Salmon any longer, is still very much a part of their extended family and will still be sitting in with them when schedules allow. He is also developing paths with Larry Campbell, and with Darrell Scott. Bill is a writer and a photographer. His work can be viewed at billpaynecreative.com.